Northern Ireland Screen and RTÉ launch four brand new 20 minute dramas from Storyland 2017 on RTÉ Player. Currently in its seventh season, Storyland 2017 brings original stories to a national and a global audience, showcasing a great breadth of Ireland’s creative talent across writing, acting, producing and directing. This season features four brand new dramas telling diverse, contemporary Irish stories. From the tale of a Kurdish refugee arriving by truck to Ireland in Leave to Remain, a story about the real hardships facing anyone trying to get back to work in On the Hemline, insight into post BREXIT uncertainty in Northern Ireland in A Sign of Things to a mixed-race girl struggling with her identity in 1980’s Belfast in Cry Rosa, each drama telling a different story about contemporary life. New and emerging talent featured includes the screen debut of eleven year old Cork schoolgirl Kaci Power O’Driscoll who plays the spirited daughter of the main character, Martha in On the Hemline and 11 year old Grace Fleming taking the lead in Cry Rosa. The four Storyland 2017 dramas also feature established actors including IFTA Award Winners Martin McCann (Maze) in Cry Rosa and Eileen Walsh (Pure Mule) in On the Hemline, along with Cathy Belton (Nowhere Fast) and Nigel O’Neill (Game of Thrones) in A Sign of Things. David Crean, Executive Producer for RTÉ Television said “This year Storyland is bringing four original Irish dramas to audiences in Ireland and around the world. As well as introducing great new stories from new voices to the audience, Storyland is a significant part of RTE’s commitment to developing creative talent on the island of Ireland”. 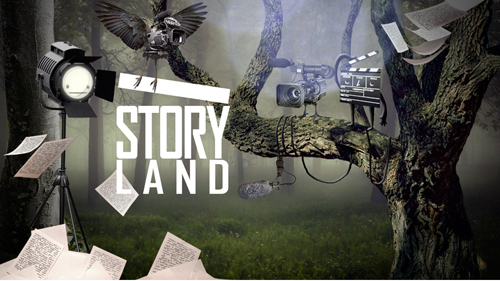 Previous Storyland commissions have gone on to be commissioned for RTÉ comedy and drama series, developed in a feature film and have won numerous international awards as well as generating additional opportunities, both within and outside RTÉ for the writers, directors, producers and actors. The four production companies awarded the commissions are Afro-Mic Productions, Tyrella Film Productions, Lacada Entertainment and Treasure Entertainment. The four Storyland dramas are available exclusively on RTÉ Player here.